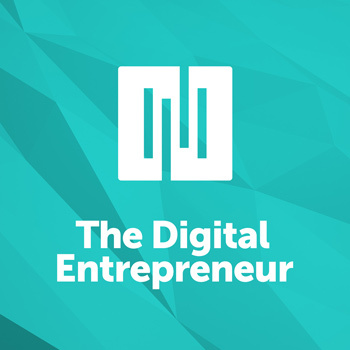 Jerod Morris: Welcome back to The Digital Entrepreneur, the show where digital entrepreneurs share their stories and the lessons they’ve learned so that we can all be better in our online pursuits. 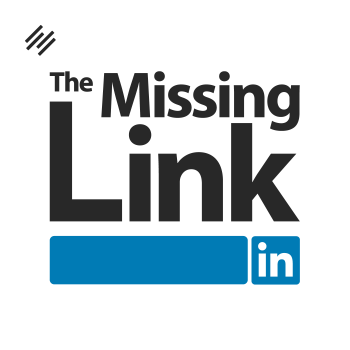 I am your host, Jerod Morris, the VP of marketing for Rainmaker Digital, and this is episode No. 36. On this week’s episode, I have a guest who’s been obsessed with quality from a young age. Seriously, he is crazy about quality. If it’s not the best, he won’t have it. He got his start in digital entrepreneurship in 2009 when he founded his own one-man digital marketing shop that has now grown into a small boutique agency of employees and contractors serving dozens of clients around the world. He specializes in helping small business owners and bloggers who are crazy-passionate about their area of expertise take their business to the next level by creating a strategy for long-term success. He is Seth Spears, and he is a digital entrepreneur. Seth, welcome to The Digital Entrepreneur. It’s great to have you on the show. Seth Spears: Hey, Jerod, thanks for having me. Jerod Morris: Yeah, for sure. This will be really good. It was great seeing you at Digital Commerce Summit. Glad you were able to make it out there. Seth Spears: Yes, I had a great time. Jerod Morris: Yeah, it was good. Let’s hope in here, Seth. I’ve always believed that the number one benefit of digital entrepreneurship is freedom. I think that’s what a lot of people feel that it is — the freedom to choose your projects, to chart your course, and ultimately, the freedom to change your life and your family’s life for the better. What is the biggest benefit that you have derived from being a digital entrepreneur? Seth Spears: I would completely agree with that statement as far as freedom. Especially the time freedom. Some people, they have monetary freedom where they make a lot of money, but they don’t have any time to enjoy it. They’re a slave to their desk, their office, or wherever. They’ve got to be there 24/7. When I think of that, I think of attorneys or doctors. They’re high paid professionals, but they’re completely reliant upon being there and doing the work, so they don’t have the time to spend with family and friends, travel, and do the things that they enjoy. So I completely agree that having that time freedom and being able to work either in an office or coffee shop or at home or traveling is definitely the biggest benefit to being a digital entrepreneur. Jerod Morris: Yeah, there’s certainly something admirable about putting in tons of hours and doing the work, but it does kind of lead to the question “what’s it all for?” if you don’t have the time to spend it with the people that you care about most and doing the things that you love doing the most. I think it’s all part of finding a balance there. Both of them have their time and their place because, on the flip side of that, if you just spend all your time just doing what you enjoy, well, then you’re not going to be very motivated. You’re going to be kind of lazy. That’s great and all, but at the end of the day, I think you got to have some balance. That keeps us centered and focused. Jerod Morris: Yeah, I agree. Balance is definitely the key. Let’s go back. Take me back before you became a digital entrepreneur. What were you doing, and what was missing that lead you to want to make a change? Seth Spears: Great question. Back in 2009, I was working for a small college in Nashville, Tennessee. I was the Assistant Director of Admissions, so basically recruiting students, handling paperwork, traveling to college fairs, and all kinds of stuff like that. I was miserable. I hated it. When I was in college I always had this expectation that I was going to major in business. I was going to graduate. I was going to meet the girl of my dreams, get married, have kids, start my own business, and sail off into the sunset and live happily ever after. Jerod Morris: You had it all mapped out. Seth Spears: Yeah, except that didn’t actually happen. It’s kind of happened now, but not exactly in the timing or the way that I was hoping for or expecting it to. I graduated college, bummed around for about a year, did some nonprofit mission work and stuff, waited tables and bartended, then went to work for this college. Got married, started having kids, but I was miserable in the job that I had. I always had entrepreneurial leanings. I always had a really strong work ethic, worked a lot, and was always doing something on the side. I dabbled in some real estate investing. I tried some little side ventures here and there, but nothing ever seemed to work. Now on the side, I had a little side hustle going. I was doing some independent collegiate consulting for homeschool students, helping them to prepare for college. I saw it as an under-served market, so I was doing a little bit of consulting on the side for them. I was homeschooled in high school, so I understood what it took to get in to college — and also, having the administrative side working for a university, I knew what it took to get it. It was a really steep learning curve. I have a marketing degree, but what I came to realize was that that degree was worthless because everything has changed so much. All those theories as far as product price, place, promotion, and all that stuff, it wasn’t really relevant to what I was trying to do as far as market myself and the content that I was producing. I basically went on a journey to learn as much as I could about digital marketing. I bought some courses, and I read as many blogs, articles, and things as I could, just to really teach myself. During that process, I discovered WordPress, StudioPress and the Genesis Framework, and started teaching myself website design. As I begin doing that, I really enjoyed it. I like the creative side. There was a really steep learning curve for me, though, trying to figure out what FTP was. I was like, “I have no idea. I don’t understand.” It’s funny to think back now. That wasn’t that long ago. It was 2009 I guess. One thing basically led to another, and I began building out my own website. That’s where Spears Marketing was born. That was in 2010 basically. Then began doing a lot of website design and getting into social media marketing, search engine optimization, and that whole game. Jerod Morris: It sounds like there was never really a grand plan for Spears Marketing and where you’re at now. It was almost just like one step led to the next, and it all sounds very logical as you explain it. Did it feel like a logical progression as you were going? Seth Spears: I’ve never thought of it like that. I felt like I was flying by the seat of my pants for the most part. Jerod Morris: It’s easy to put the pieces together in retrospect, and that’s kind of what I’m wondering. Did it feel like that as you were going through it? Seth Spears: I don’t think so. It’s hard to take myself back there and feel the feelings as far as what I thought. I just saw an opportunity. I’ve always really enjoyed the study of economics and looking at the market and where opportunity lies. I was definitely in the right place at the right time as far as getting into WordPress and the whole digital marketing side because it was so new. It still probably is, but granted, there’s a lot more noise, traffic, and competition now. Looking back, it does feel kind of like a natural progression, but at the time, I had to learn what I thought that I needed in order for my own business and then for clients. That’s how things really grew — working with a few clients here or there, just helping them with whatever they needed, teaching myself, and learning and growing from there. Jerod Morris: Tell me about the milestone, or the moment, in your career as a digital entrepreneur that you’re the most proud of. Seth Spears: Over the years, I’ve had a lot of success working with several different clients and helping them to improve their traffic and search rankings and their growth, income, and revenue. A year or so ago, I looked back at statistics, the traffic statistics for pretty much every client. And those that actually followed the recommendations that I made — and this would include a website redesign, improved content, some search engine tweaks, and things like that — I had seen, on average, about a 30 percent increase in traffic for the clients. Seth Spears: That made me really happy. Just seeing the improvement that the clients would make because that was directly influencing their bottom line. They’re making more money. They’re having more success, and I was really proud of that. Seth Spears: I wouldn’t say still because I think the game has changed so much, and there’s so much more competition. Yeah, there were things that we were doing, and still do, that cause you to see a lot of growth. At the same time, I feel like I was on the cutting edge, but everything has caught up so much. There’s so much noise just in the online space. The competition is a lot greater. Google’s in a state of flux. Social media — just the reach that we used to be able to get on social media — it’s not the same now. Now it’s pay to play. I still think there’s huge opportunity if you’re willing to throw a lot more money at it than before. Because I always focus on the organic side, but I’m slowly beginning to transition and realize that the paid side is probably where the biggest bang for your buck is right now — just because it’s so much more pay to play. Jerod Morris: Which, I suppose, was always the inevitable outcome of social media. Seth Spears: I guess. It’s unfortunate that that’s what it is, but I guess that’s just the nature of markets, you know? Jerod Morris: Yeah. All right, we’ll take a quick break. When we come back, I’m going to ask Seth about his most humbling moment as a digital entrepreneur. 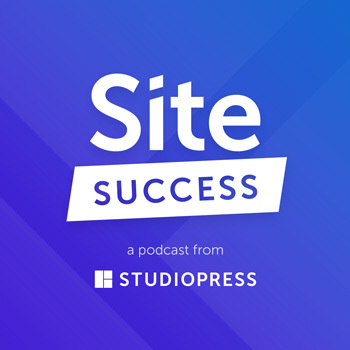 Jerod Morris: As you probably know, stitching together a website that truly gives you everything you need to demonstrate your authority, connect with your audience, and earn recurring profit isn’t easy. You have to find good hosting, plus security and support you can trust, which is a headache. You need a patchwork of plugins that can prove to be a nightmare at the worst possible time. You need the ability to create content types, ranging from blog posts to podcasts to online courses — and what about integrated landing pages, email marketing, and marketing automation to deliver a truly adaptive content experience? These aren’t nice-to-have features anymore for the smart, profitable entrepreneur. They are necessities. Well, you have two choices. You can piecemeal it together, pay more in total, and then cross your fingers, and hope everything plays nicely together — or you can use the Rainmaker Platform. Rainmaker is a fully hosted, all-in-one marketing machine that gives you everything out of the box in one dashboard. 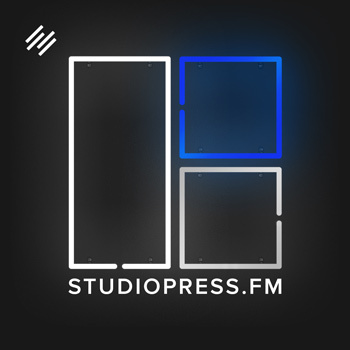 You can run a successful podcast, host authority-building membership areas, and sell in-depth, module-based, revenue-generating online courses. You can even use RainMail to host all of your email lists and send broadcast emails and autoresponder sequences right there in your Rainmaker Dashboard. Plus, the full email integration with your website platform gives you insight about your audience and your content flexibility that you simply cannot get with separate solutions stitched together. Oh, and rather than having to choose from one of a hundred different places for support when you have a question, with Rainmaker it’s just one support team ready and excited to help you out. 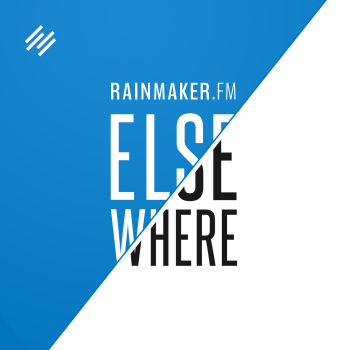 All of those reasons and more are why Rainmaker.FM runs on Rainmaker and why all my personal sites do, too. Don’t just take my word for it, check out the Rainmaker Platform for yourself. Go to Rainmaker.FM/Platform, and start your free 14-day trial today. Now, back to my interview with Seth Spears. All right. Seth, tell me about the most humbling moment in your career as a digital entrepreneur thus far and, most importantly, what you learned from it. Seth Spears: Probably when I realized that I took on a client — it was a good sized project — and then I had to fire them about a week into the project, realizing that it wasn’t a good fit, that they were very needy and high maintenance. The amount of handholding that they needed, myself and my team would not be able to provide that. It made me take a step back and realize that I needed to improve my processes as far as onboarding and do a better job of due diligence to make sure that I was only taking on clients that were a good fit. Just because there was an opportunity to make a lot of money there, if it’s not a good fit, it’s not worth it. I’d say that was definitely the most humbling and also one of the biggest lessons that I learned in business — just because there’s opportunity, doesn’t mean you need to take it. Just because you can, doesn’t mean you should. Jerod Morris: That’s a great, great lesson to learn. In 2014, you learned that because you can provide a service for a client, doesn’t necessarily mean you should, as you explained. You also, I was reading, you got tired and kind of burnt out. You decided to scale back and go to more of a one-on-one marketing approach. Can you talk about that time period, what you learned for it, and how it’s helped you move forward? 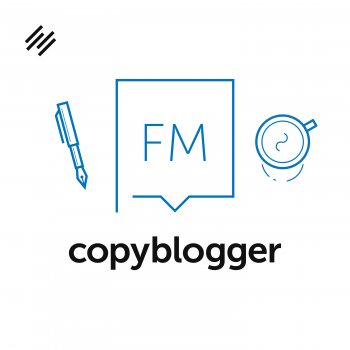 Seth Spears: Yeah, so when I got started, it was just me — just freelancing, consulting and strategy, website design, SEO, social media, and all that stuff. Then I began to scale up and bring on a team. I basically had formed a little digital agency from about end of 2011, early 2012, until the beginning of 2014. Like I said, I took on a couple clients who just weren’t a good fit and just some bad experiences. I had an employee or two that left, and I realized, “You know what? I don’t like the managing the employees. I don’t like offering all these different services.” I was offering so many different services to clients based on whatever they wanted. Then either the on-staff employees that I had would handle that, myself, or I would contract out some of it — just whatever the client wanted. Then I realized, “Just because I can offer something, doesn’t mean I should offer it. Maybe it’s time to look at what I’m good at, what I really enjoy, and focus on those things.” And that’s what I did. I really narrowed the focus as far as specifically to the consulting and strategy side, just to work with digital entrepreneurs, online business owners. Specifically to help them figure out what they needed and only work with those. I stopped offering all the other services, like the done-for-you social media and SEO work and some of the website design, although we still do a little of that. But I really narrowed the focus down and only began offering just those services that I thought that I was the best at and enjoyed the most. Jerod Morris: What does your business look like now? Because you have Spears Marketing where you’re doing client work, and then you also are obviously with Wellness Mama as well, where the blog and lots of digital products there. There’s really two sides to the business right now, right? Seth Spears: Yeah, so Katie and I have a partnership there as far as she handles all the content, and I handle all the strategy and everything, the technical side of everything. They’re two completely separate businesses. But yeah, that’s strictly a passion play. She loves to help people on the side and tries to help as many people as possible. That was another one of those accidental businesses that was nothing more than a hobby, that grew, and that I basically use WellnessMama.com as a testing ground for client work. Like, “Hmm, I think this might work. Let’s try this.” Or, “Let’s try this new technology.” Or, “How about we try this with social media, SEO, or whatever.” It just so happened it worked really well. Jerod Morris: But you know it’s funny how often that’ll happen. You have a main business, and then you have maybe a sandbox that you’re kind of ‘playing in.’ You’re trying stuff out, and eventually there’s kind of, “Whoa, there’s an audience here. I’ve created digital products, and there’s a real business here.” I’ve had that happen to me, too. It’s funny how that happens. Seth Spears: Yeah, exactly. It is very funny how that transpires. There are two schools of thought here. Some people say that you should just do what you love and the money’s going to follow, but I disagree with that. I think that, if there’s no demand for what you love, then the money’s not going to follow. You might enjoy it, but you’re going to be broke. Then eventually you’re going to hate it because you can’t support yourself. I think you should focus on what you’re good at and where there’s demand for, and then you’ll learn to like something. If you’re that good at it and it’s bringing in money, you’ll learn to like it enough to do it. But having a side project that you enjoy and not even trying to use that as a business, or trying to monetize it necessarily, but just dabbling in that sandbox to play and just because it’s a passion project, I think that’s a good thing. It takes you away from the day-to-day and helps the creativity juices to flow. Jerod Morris: Yeah. Let’s fast forward to now. What is the one word you would use to sum up the status of your business as it stands today? What would that word be? Jerod Morris: I like it. Where do you want to evolve to? But as far as the long-term, five, 10 years down the road, I think the Internet is constantly changing so much. It’s very hard to set those long-term objectives just because there’s so much flux and volatility, especially when it comes to Google, Facebook, and everything. Jerod Morris: Well, hey, that’s part of your story — not necessarily knowing where you’re going to go but just taking the next step that makes sense. Seth Spears: And trying to enjoy the journey as much as possible, which I’m not that good at all the time, but I’m working on it. 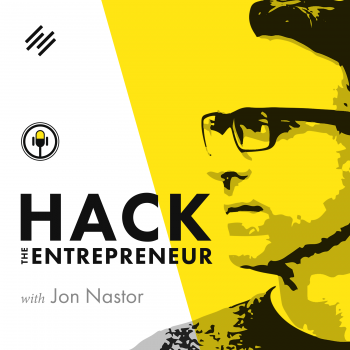 Jerod Morris: What is your biggest recurring pain point as a digital entrepreneur? What sometimes doesn’t allow you to enjoy the journey as much as you’d want to? Now, I feel like their algorithms have gotten so very specific, and it’s not a one size fits all. There’s so many variables that, for different clients, it’s a lot harder just to get content to rank than it used it be. So trying to figure out that whole game, it’s a never-ending process. I’d say, currently, that’d be one of my biggest pain points. Jerod Morris: Yeah. What element of your work gives you the most satisfaction on a daily basis? Not necessarily the outcome, seeing X, Y, Z success, but what part of the actual work gives you the most satisfaction? Seth Spears: I think it goes back to our conversation earlier as far as the time freedom. This might not be the answer you’re looking for, but just realizing I can work a whole lot right now, work 60 hours this week, and then next week I can take off and only work 10 hours. Is that the answer you’re looking for, sort of? Jerod Morris: Yeah, sure. Because to me, that’s the kind of thing that, in the moment, keeps you motivated to work right now. It may not be that you necessarily love researching SEO in this very moment, but because of what it allows you to do later, I think that’s definitely a fair answer to that question. Seth Spears: Yeah, exactly. I think the other side of it, I like seeing progress made. I like being able to do something and see the outcome from it. 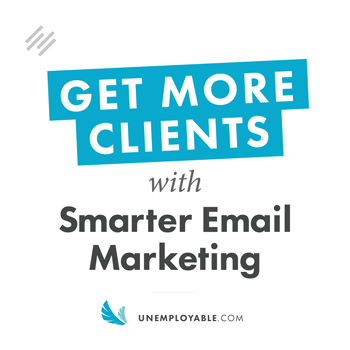 If I put in a whole bunch of effort and I spend, say, an hour crafting an email, either for myself or for a client, and then see the outcome of that — see the open rates increase and the click throughs based on that — I really enjoy that side of it as well. Even though I’m not a copywriter per se, but just seeing you put in the effort, you put in the input, and then the output is positive. Jerod Morris: By the way, I just want to commend you on your use of the phrase ‘crafting an email’ as opposed to just writing an email. It truly is crafting it when you’re trying to write something that’s good that will drive an action that will be enjoyed. It really is crafting. I appreciated that turn of phrase right there. Seth Spears: Very much so. And that really is an art and a science. It’s funny how trying to get out of your own head and just write … I’ve always said I’m a better editor than I am a writer. 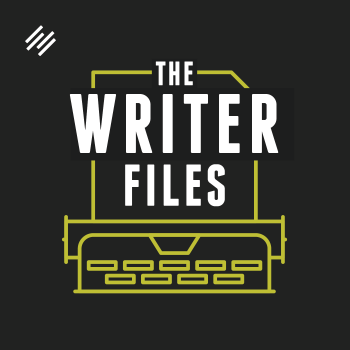 I’m a good writer, too — or I feel like I am — but it takes me longer to do that. I’d rather take something that someone has already created and tweak it to make it that much better. I feel like my strengths are better there as far as not creating something completely from scratch, but taking bits and pieces from here and here and here, and making something so much better, 10x-ing it or more. Jerod Morris: Yeah. So let’s open up your toolbox. What is the one technology tool that contributes the most to your success as a digital entrepreneur? Seth Spears: The one technology tool. There’s so many. Obviously, WordPress is huge because everything’s online, so using that for website build-outs. Google Apps would obviously be another one, and Dropbox. I’d say those would be the three that I couldn’t live without. There’s lots of other ones as well, like smaller ones like Evernote. Jerod Morris: Is there one kind of off-the-radar one that people might not be familiar with that’s maybe a newer one that you found to be especially useful? Seth Spears: As far as a general one, not that I can think of right now, but an app that I really like as far as just content creators … one of the things that I focus on over the past year or so is website speed and really focusing in on and proving site speed because that’s something that Google really looks at. And images are a big, big issue. Because people upload massive images, and that takes longer to load, especially if you’re on mobile. There’s an app called ImageOptim. You can download it for Mac and I think PC as well. Basically, you just drag your images into this little app that sits in your dock and it smushes it down. It reduces the size of it without any loss of quality, so it gets rid of all the underlying data that is added to an image when you take a picture. So when you upload that to your site, it’s going to be quite a bit smaller. In turn, it’s going to improve your site speed. Jerod Morris: Nice. 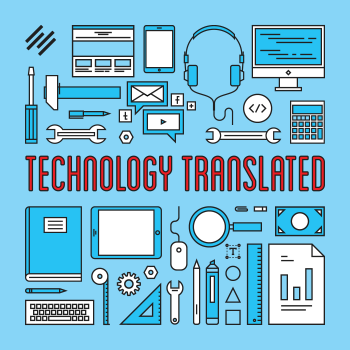 What is the non-technology tool that contributes the most to your success? Seth Spears: Taking time away from the computer, from the phone, from being inside, and just getting outdoors. I’m a bit outdoors guy, so I love hunting, camping, and all that fun stuff, skiing. Getting away so you can take a mental break and just get in touch with nature and relax. Then, also, reading something good from an actual physical book. I think there’s something about holding a physical book in your hands and sitting back and just reading, and not just reading on your phone, on the computer or Kindle, or whatever. Jerod Morris: Yeah, I agree with that. Earlier I asked you for the one word that you would use to sum up the status of your business as it stands today. You said evolving. When we talk again in a year, what would you want that one word to be? Seth Spears: ‘Consistency.’ Consistency is something that most people struggle with — whether that’s business consistency, personal consistency, your personal life, business life, whatever. 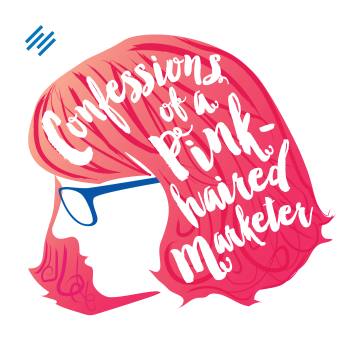 I think I’m pretty consistent, but that evolution of things it’s hard to stay really consistent — whether it’s your making X number of dollars per month, you have X number of clients a month, or X number of traffic, whatever. Trying to make things so that they’re more consistent across all those so that you don’t have the flux of being up or down with clients, revenue, and traffic, et cetera. Jerod Morris: I have a few rapid fire questions for you to close out. Are you ready for these? Seth Spears: Yeah, let’s do it. 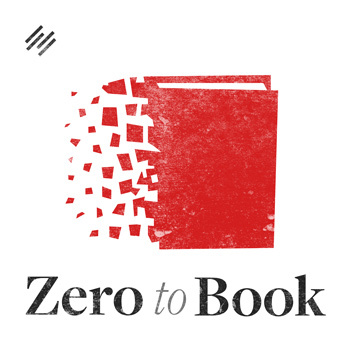 Jerod Morris: If you could have every person who will ever work with you or for you read one book — and obviously, they would read it as a physical book — what would it be? Seth Spears: I’m going to go with Brewing Up a Business by Sam Calagione, the founder of Dogfish Head. Seth Spears: It’s a phenomenal business book about entrepreneurship, business, and marketing from somebody who’s crazy passionate about what he does. I read this years ago and just really connected with his story, his work ethic, and the way he sees the world and business in general. Jerod Morris: Also a great brand of beer, too. Seth Spears: Yes it is. Seth Spears: I’m going to go with Jeff Bezos from Amazon. I think he would have a lot of insights just where things are going and heading digitally just because he has been such a visionary over the years and Amazon has gotten so big and all the other things he’s doing as well. I think having a little call with him would definitely be interesting. Jerod Morris: What would you ask him? What would be your first question? 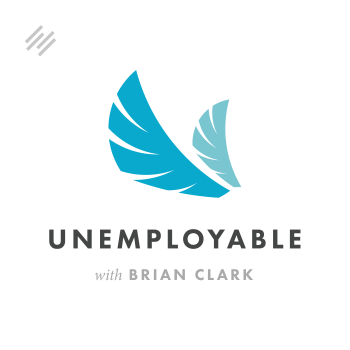 Seth Spears: Did you envision where Amazon is now, or was it just a natural progression? That would be one thing. Jerod Morris: I would love to hear that answer. Seth Spears: And where do you see things going over the next five years? 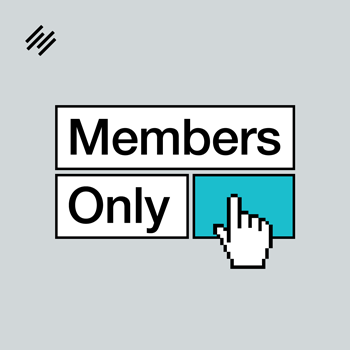 Seth Spears: I’ve pretty much unsubscribed from almost every newsletter just because email is such … I get too much. But the one I’m really digging right now is Brian Dean from Backlinko.com. He’s got a really good one. He focuses on SEO and some social media, but I feel like he’s got his finger on the pulse of the search game right now. I really enjoy his. He’s a great writer, too. Jerod Morris: Brian Dean, Backlinko.com? Seth Spears: I am very passionate about quality. I always look for the best. If it’s not incredible quality, craftsmanship, I really don’t care for it. So I’m going to say Saddleback Leather Company. I came across them five or six years ago, and I read something about them. They were just the small little company in Texas that created these amazing leather bags. Over the years, I’ve purchased some, and the quality’s just amazing. They’ve built up an incredible following. They’re pricey, but their story is fascinating and just their focus on quality and not skimping on quality based on price or whatever — so I would say one of their bags. Seth Spears: I think kind of like I mentioned earlier, just getting outside and disconnecting from technology for a while. Probably over the past month or so, I’ve been somewhat burnt out just because I worked so much over the past several months. The past four weeks or so, I’ve basically kind of taken a little time off and I’ve gotten outside. I’ve been hunting a lot. I’ve been camping, taking my kids and just hiking and stuff. Just getting away, reconnecting with nature, getting away from technology, and realizing there’s a lot more out there to see and do and not just being in front of a computer all the time. That’s really tough to do as an online entrepreneur. Jerod Morris: Yeah it is. Jerod Morris: And finally, what is the single best way for someone inspired by today’s discussion to get in touch with you? Seth Spears: Either Twitter, my handle’s @SpearsMarketing, or on my website SpearsMarketing.com/Contact. Jerod Morris: Excellent. Well, Seth, this has been a great conversation. Appreciate you being on here and lending your insight to us. Seth Spears: Thanks, Jerod. Great talking to you as well. Jerod Morris: Yea, take care. 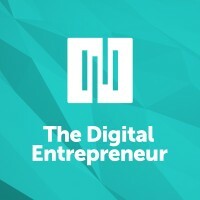 Jerod Morris: My thanks to Seth Spears for taking the time to join us on this episode of The Digital Entrepreneur. Also, as always, thank you to Caroline, Will, and Toby for helping to make this episode a reality. And thank you for joining us. I always appreciate your attention here to The Digital Entrepreneur, and I’d love to hear from you. Shoot me a Tweet @JerodMorris. 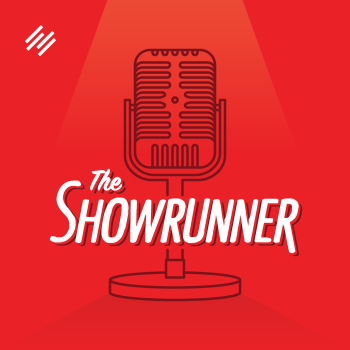 Let me know your thoughts on this episode, guest ideas that you have, future topics you’d love to see us cover — always love hearing what you think of the show. All right, thank you, and I will talk to you next week on another brand-new episode of The Digital Entrepreneur. 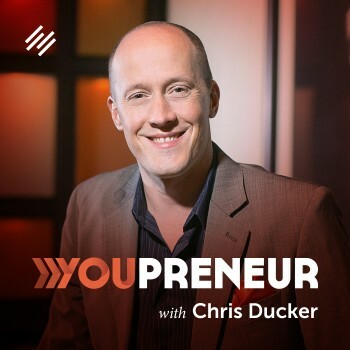 Really appreciate your shows and all the fabulous work you’re doing to support digital entrepreneurs. I realize it’s extra work post interview but it would be really helpful. Thanks again for all the great work you’re doing.